Original Sound-tracks from the Motion Pictures "Les Seins De Glace" / "Deux Hommes Dans La Ville". Music by Philippe Sarde. 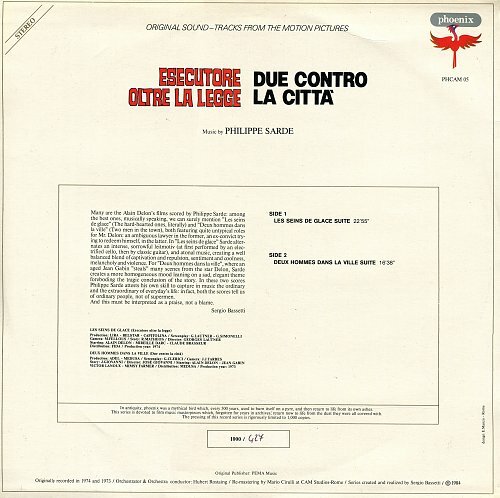 Volume 5: "Esecutore Oltre La Legge" by Georges Lautner / "Due Contro La Citta'" by Jose' Giovanni. Originally recorded in 1974 and 1973. Released in 1984, 1000 copies only.